Bing has finally released their own version of a mobile friendly testing tool at this URL. 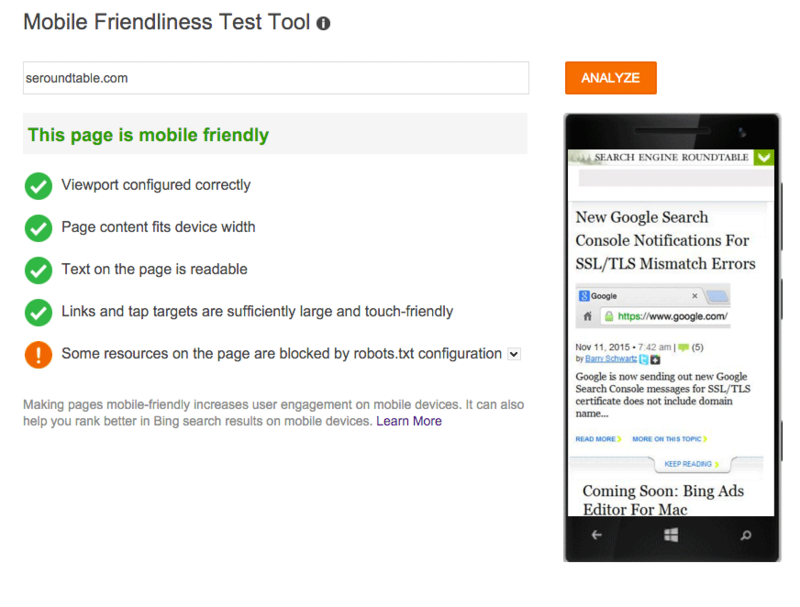 It works pretty much like the Google mobile friendly test tool, which Google released just about a year ago. 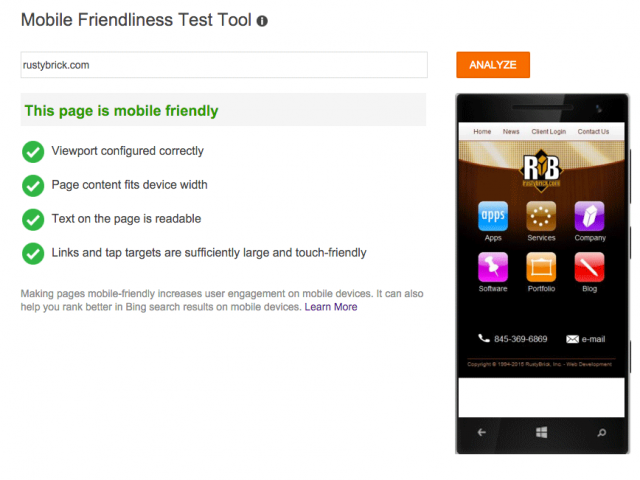 Back in April, Bing began showing mobile friendly labels in the Bing results and then told us a month or so after that, they will be releasing a Bing mobile friendly algorithm after they release the mobile friendly testing tool. The tool was expected to come a few months ago, but only came yesterday. So maybe the mobile friendly algorithm will be released in the next few months? The cool part is that Bing goes into really deep detail on their blog about why sites pass and fail this test, so it is worth a read. There is no word on when Bing will adjust the rankings based on a site being mobile friendly or not. But I suspect it will come sooner than later.